I've just installed Ubuntu and I need either video, wireless, or some sort of other manufacturer (non-opensource) driver. How can I run the tool that will fetch all of these for me? I'd like graphical instructions. Ensure that you are connected to the internet, if you are installing wireless drivers then usually you need to be plugged in via an ethernet cable. 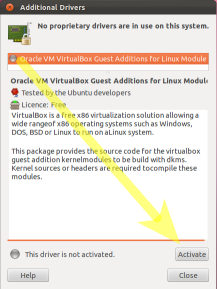 Click on the Ubuntu logo in the launcher and type drivers and click on the icon that appears. If you have hardware for which there are supporting drivers to download, they'll show up in this window and allow you to install them. If nothing shows up in this window then you probably don't need drivers installed for your hardware as they come bundled with Ubuntu. Important: Firstly, ensure that you are connected to the internet either wirelessly or via fixed ethernet. 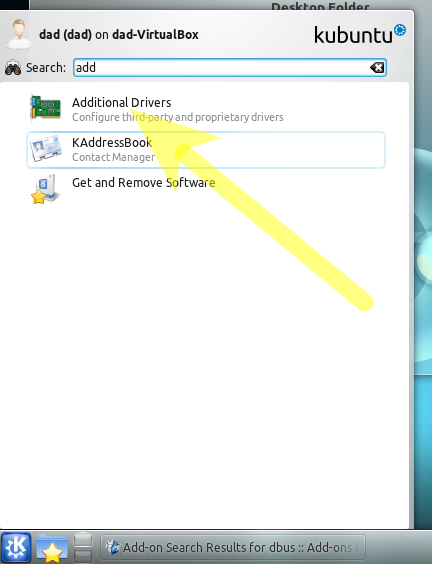 Choose from the list of offered drivers - click the Activate button. Unlike Windows, most hardware is natively supported in Ubuntu and does not require separate drivers to work. Generally speaking, if it works don't worry about a driver not being installed. Please note: there is a bug so that your graphics card will be displayed as Unknown in System Settings even if the driver is correctly installed and working--you can safely ignore this (or see this Q&A for the workaround). Ubuntu uses a graphical user interface called jockey or "Additional Drivers" to manage and install hardware drivers that are not natively supported by Ubuntu. To open it hit Alt+F2 and type jockey-gtk. A window will then open that will allow you to select additional drivers for sound, video, wireless etc. Here's a screenshot of this window, I already have several drivers enabled. If something still doesn't work and you don't see a relevant driver in Jockey, please post a specific question including as much information about your hardware and what you have tried! New applications on the other hand--as opposed to drivers--will have to be installed manually. However, unlike Windows, Ubuntu manages software centrally using repositories--in short, you don't have to go find/download software yourself. 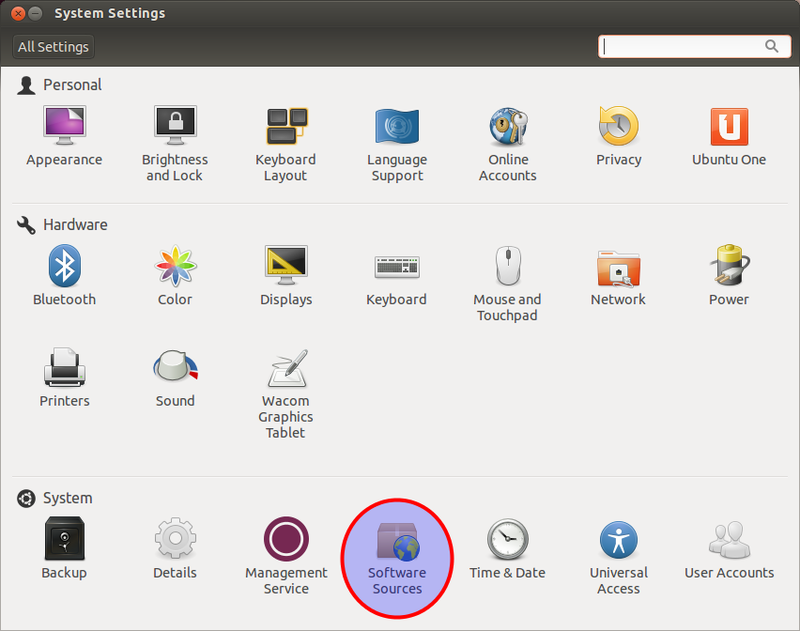 Ubuntu Software Center is one option for installing software (see this question) but you can also install from the command line usingsudo apt-get install software-name (see this question for more information on finding/installing software from the command line). You can also download Debian packages (.deb) from the internet and manually install them (or compile software yourself from source code if you are feeling ambitious)--but it's much safer and more convenient to install from the repositories. 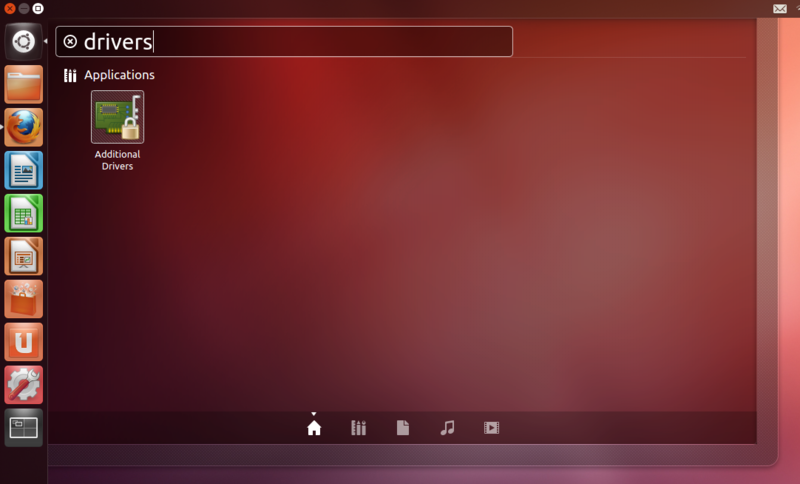 Welcome to Ubuntu! 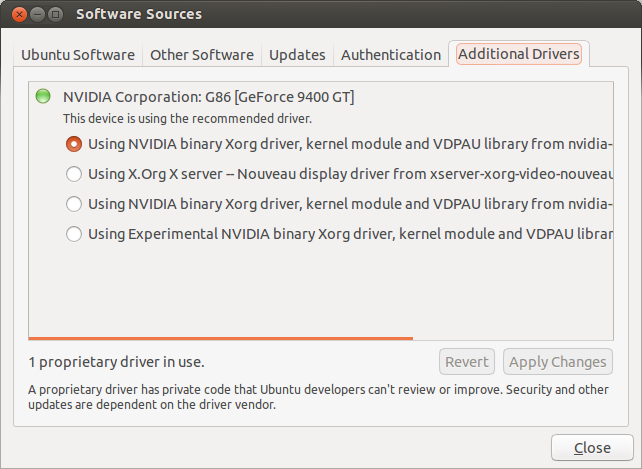 How install Nvidia drivers in Ubuntu 13.04? 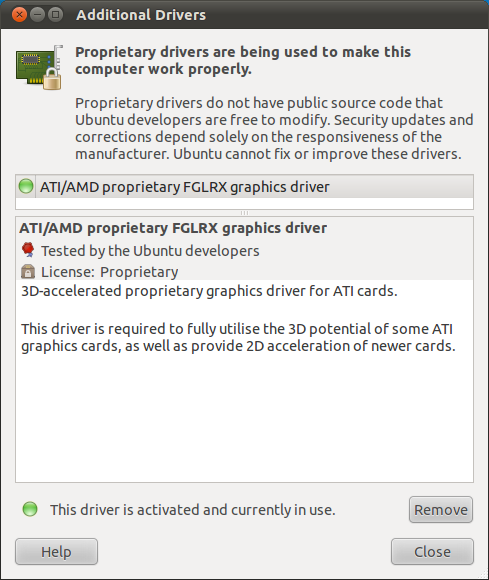 Is it safe to install the Nvidia drivers in Ubuntu 13.04? How do I install drivers for graphics and sound? 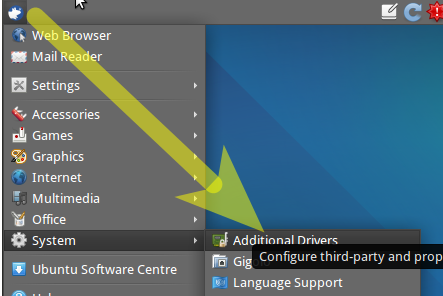 How do I install drivers for Nvidia GeForce FX 5200 in 12.04? 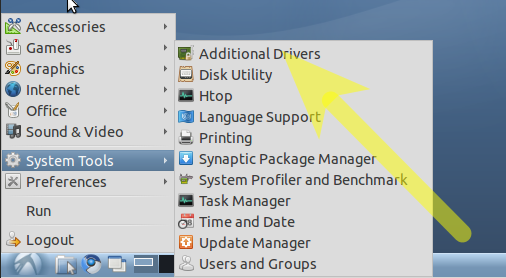 How to install zotac gt 210 graphics card driver in Ubuntu 13.04? GeForce and Radeon: what is present condition of opensource and proprietary drivers? How do I install Intel ethernet drivers? How do I install a bz2.bz2 file? BCM4312/Dell 1397 wlan minicard drivers for Ubuntu 12.10 live usb? 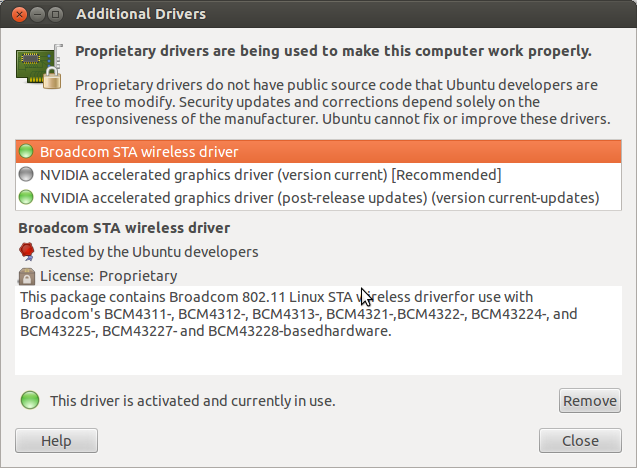 What configuration does “Additional Drivers” corrupt? “In use” in Additional Drivers, but not actually used?